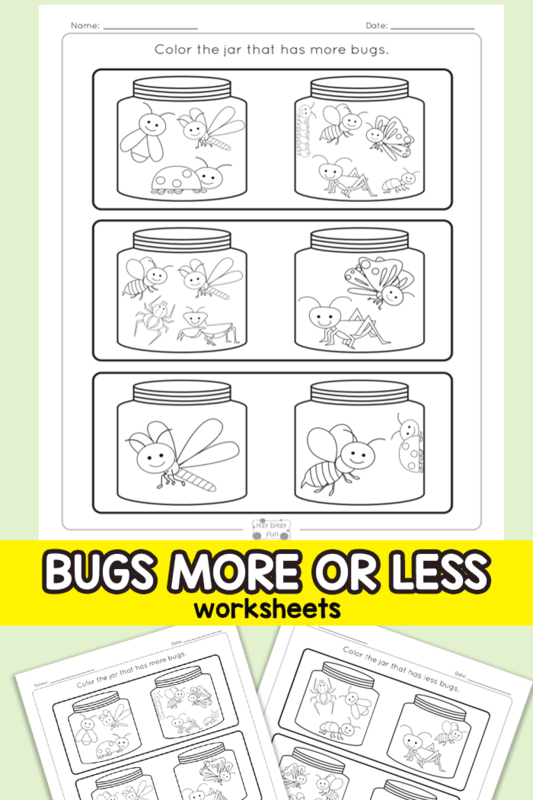 Children will love to count and color their favorite friendly bugs with these cool Bugs More or Less worksheets. This is a perfect activity for ages Pre-K through 2nd grade. 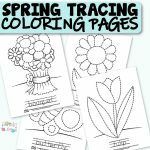 There are so many ways for your kids to enjoy this activity and make counting and coloring fun. 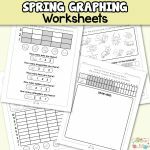 This activity comes with 2 worksheets that can be used as a full sheet or can be cut out for more fun! It is a perfect way to practice counting, comparison skills, and coloring. 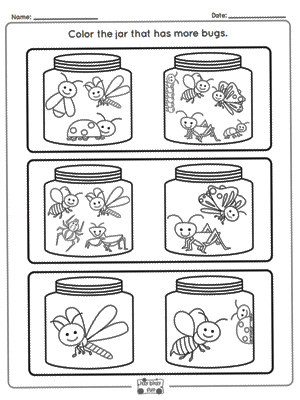 We recommend coloring the jars with the most bugs for Pre-K or Kindergarten students but below are some challenging and fun ideas for advanced students. • You can laminate and cut out each jar of bugs. Have students use a dry erase marker and write the correct number that corresponds to the number of bugs in the jar. Students can write directly on the laminated pieces. • A nice idea is also to use comparison symbols (< or > or =). This may be more appropriate for 1st or 2nd graders. Have students pair up with a partner and make comparison pairs. For additional practice, have each partner take turns reading the mathematical sentences (i.e. five is greater than six). • Practice adding and subtracting. Review basic math skills by adding and subtracting the bugs in the jar. Students will need a dry erase marker and either a dry erase board or their desk to calculate the sum or difference. Encourage students to draw the answers using numbers, words or bug illustrations. • Use math counters to match a specified number to the number of bugs. Have a partner say a number and the other student will place a counter on the correct jar of bugs. Kids, teachers, and parents will love the versatility of this worksheet. 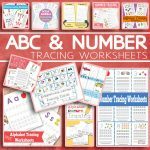 These activities are guaranteed to make counting fun for all levels of learning. Print Your More or Less Worksheets Here! 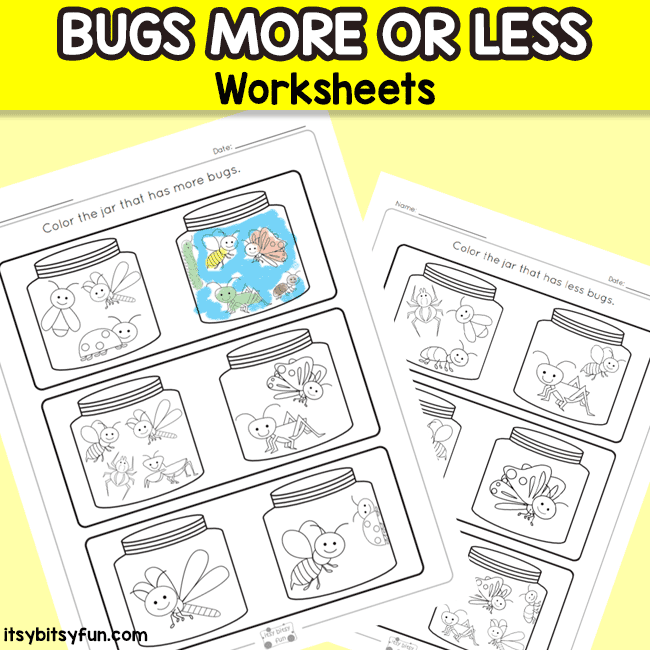 Get your Bugs More or Less Worksheets here. 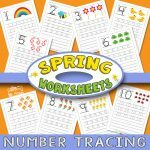 Why not also check these Spring Odd One Out Printables and or these Spring Number Tracing Worksheets.